National Young Leaders Day 5 Nov 2014 – I Can Do It! I went with the children to the National Young Leaders Day on 5 November 2014. It was our first time participating in this event. The invited speakers were very encouraging and inspiring. We talked a little about it after the event but didn’t have time to have in depth discussions. 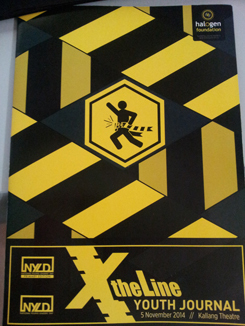 LA, however, was eager to tell her teacher about it and showed her teacher the little booklet she got from the event. 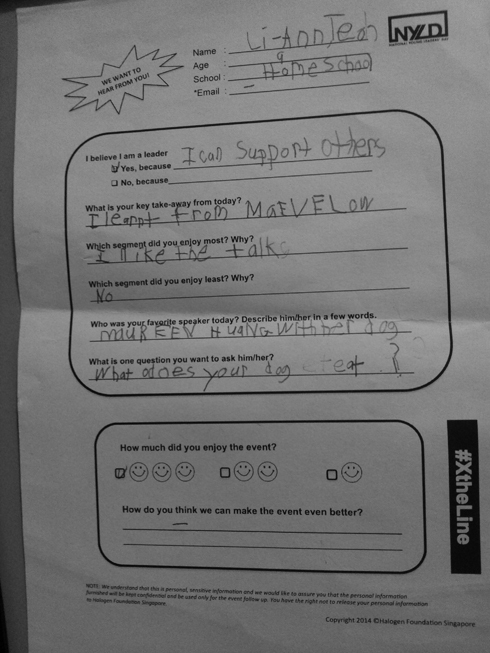 The teacher got her to fill up the feedback form after their chat. It is not surprising that LA’s speaker was Maureen and her therapy dog, Telly. She was very drawn to Telly and kept petting her at break time. I believe if Telly could talk, LA would really enjoy their conversation. 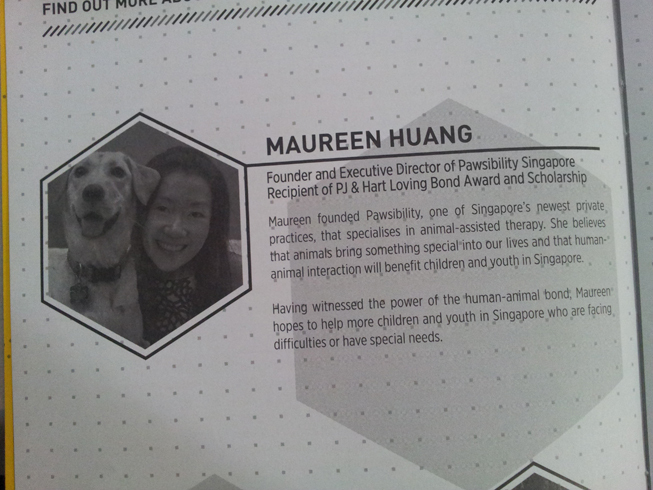 Find out more about Maureen at Pawsibility Animal Assisted Therapy.